Brazil is one of the world’s most diverse nations. Its people reflect cultures that span nearly every continent. 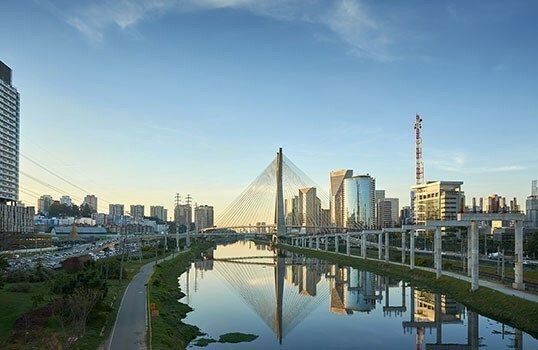 In April 2016, Prem Rawat arrived in São Paulo, Brazil’s largest city, at a moment of political unrest. As you might expect, he was greeted by an audience eager to hear him talk about the possibility of peace. Early in his remarks, he quoted Leonardo Da Vinci’s description of himself as a “Disciple of Experience.” Prem underlined thetendency to lean on beliefs, often at the expense of knowing and understanding through experience. Despite the political turmoil, the experience of peace was front and center inside the full-to-capacity auditorium. With his signature wit and wisdom, Prem Rawat gave the people of Brazil much to consider by evening’s end.